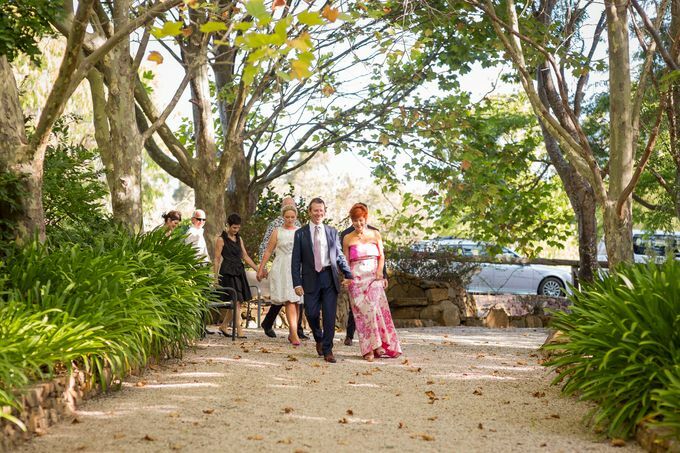 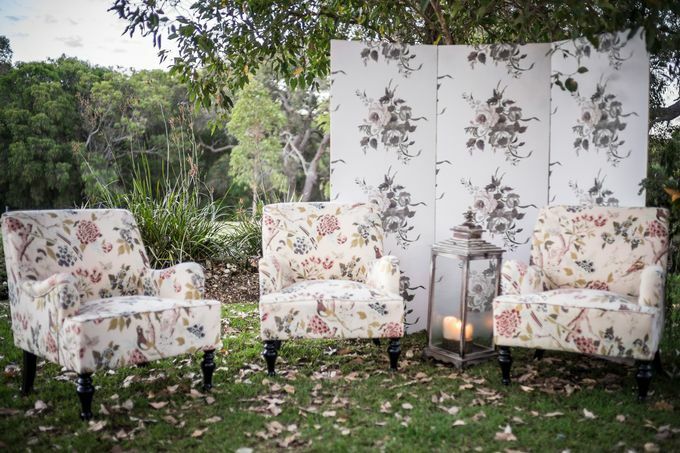 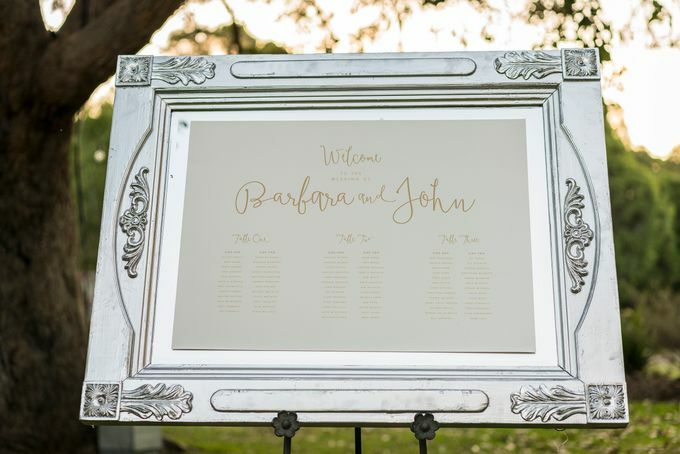 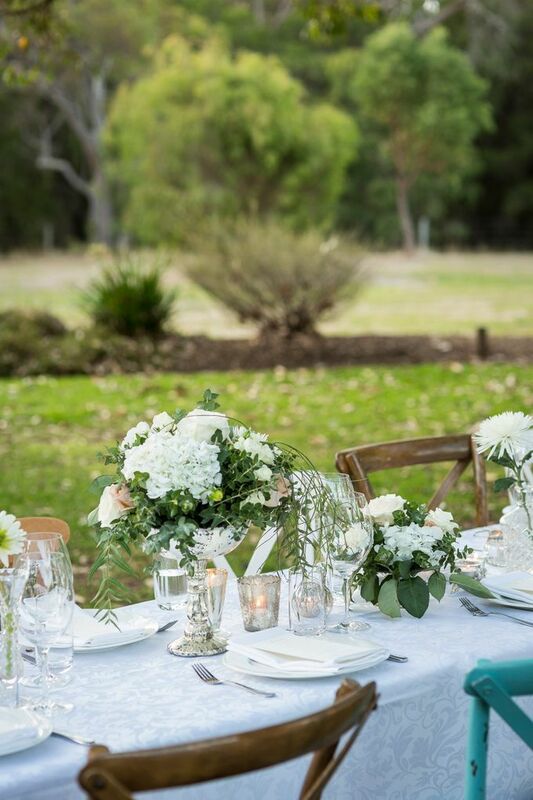 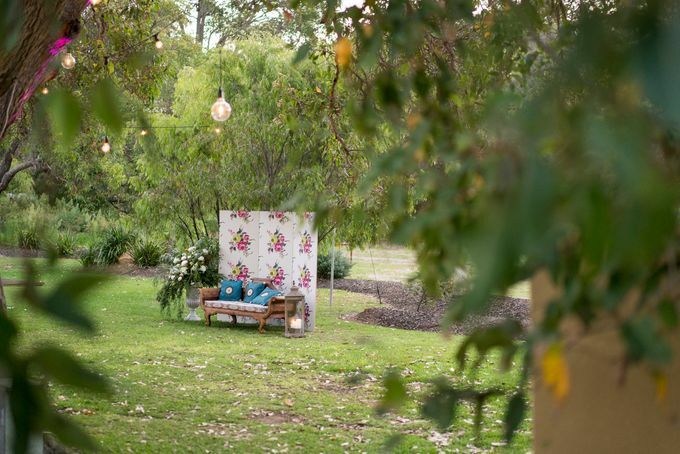 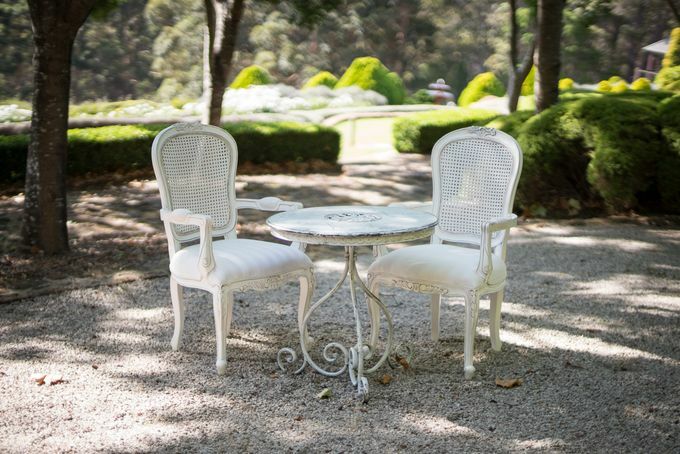 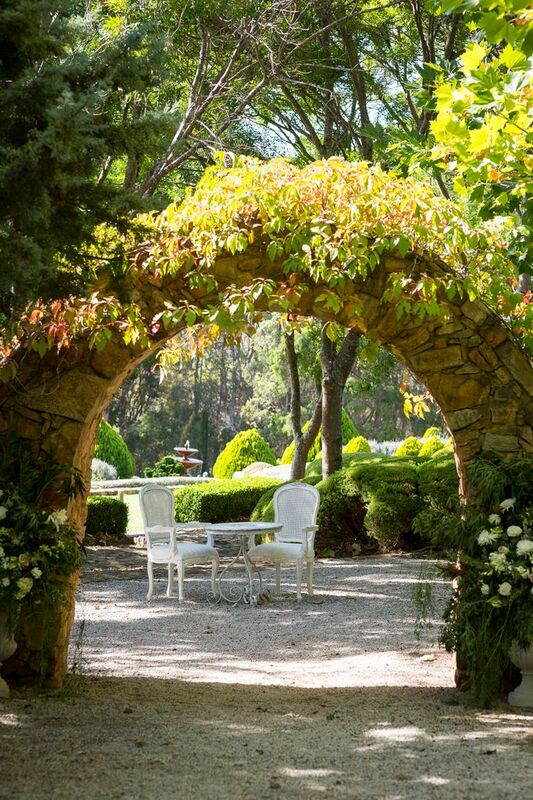 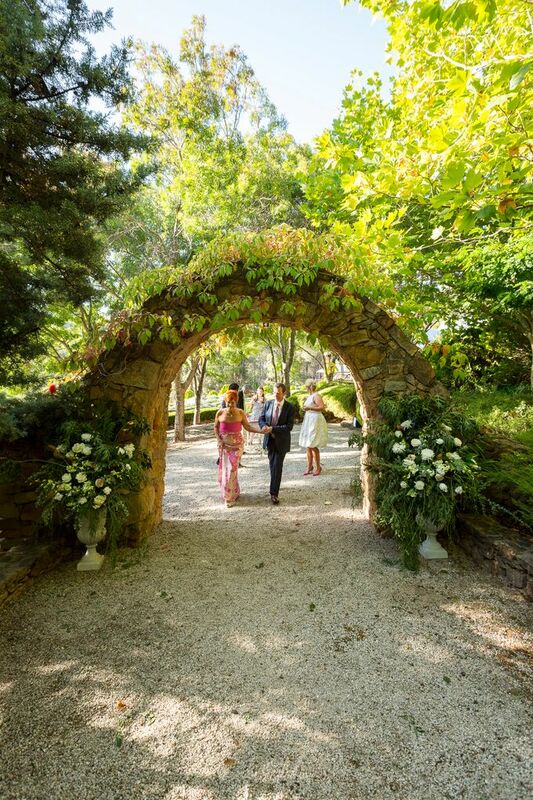 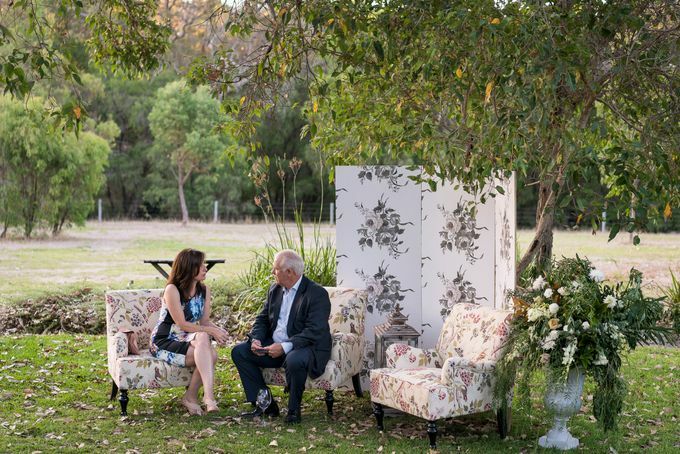 Barbara and John were married in their friend's private garden in Margaret River which was adorned with gorgeous plants and flowers, incredible stonework and stunning views. 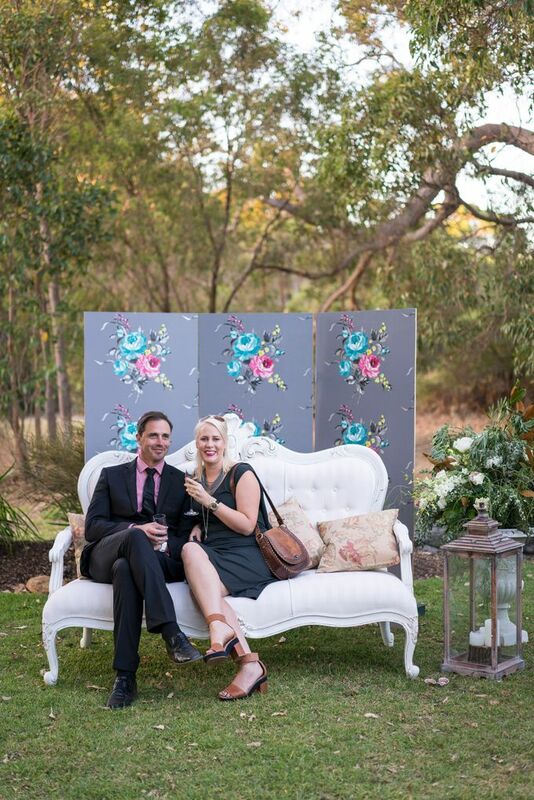 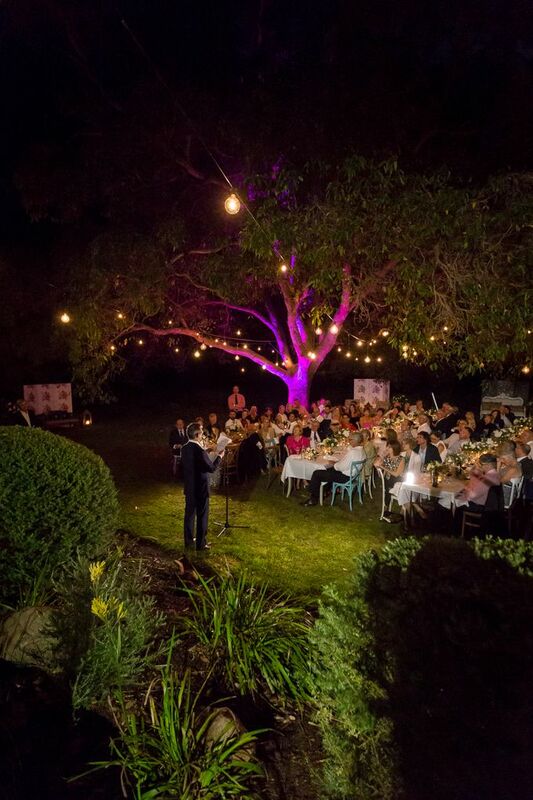 They then celebrated their vows with an outdoor reception at the intimate Arimia Wines in Yallingup. 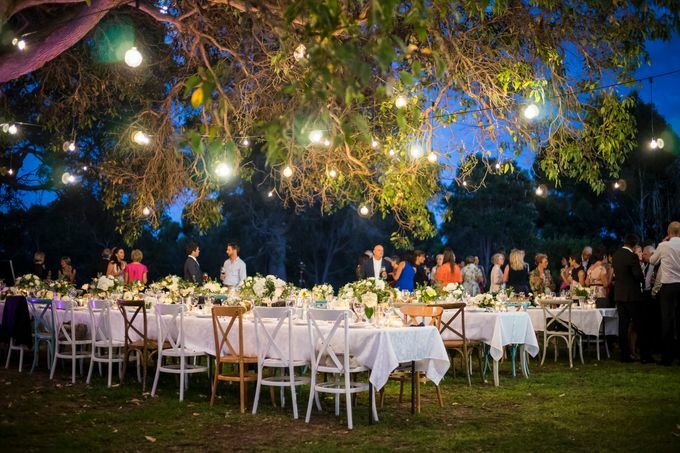 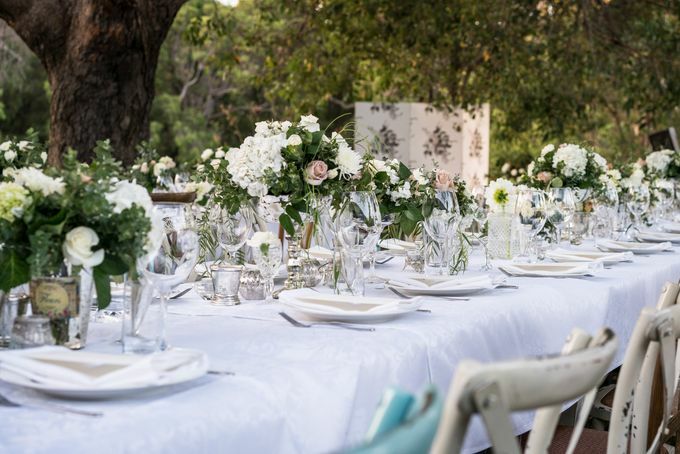 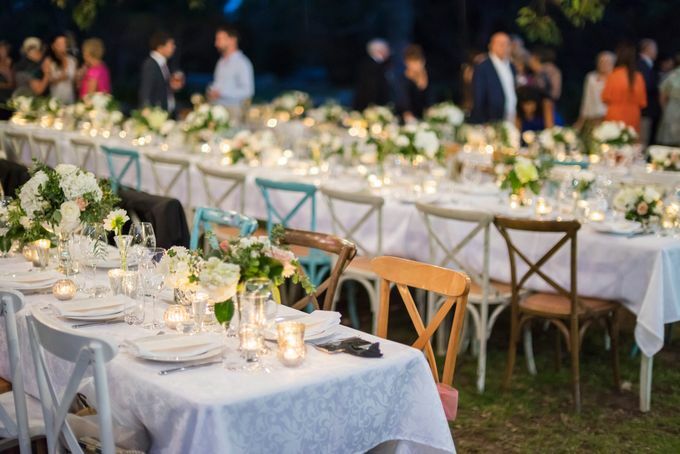 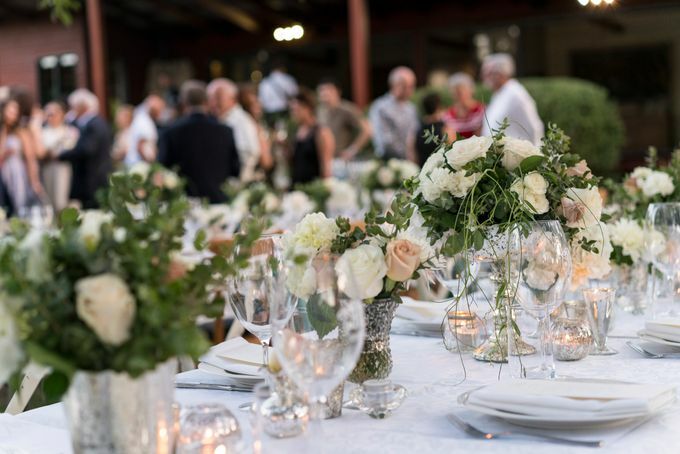 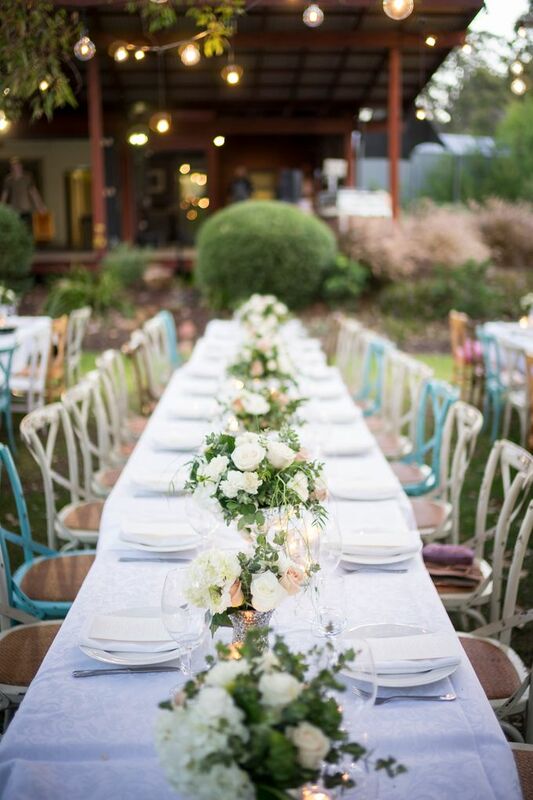 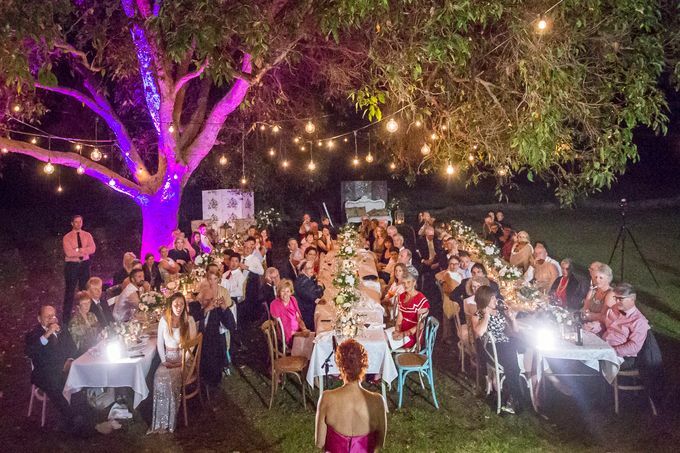 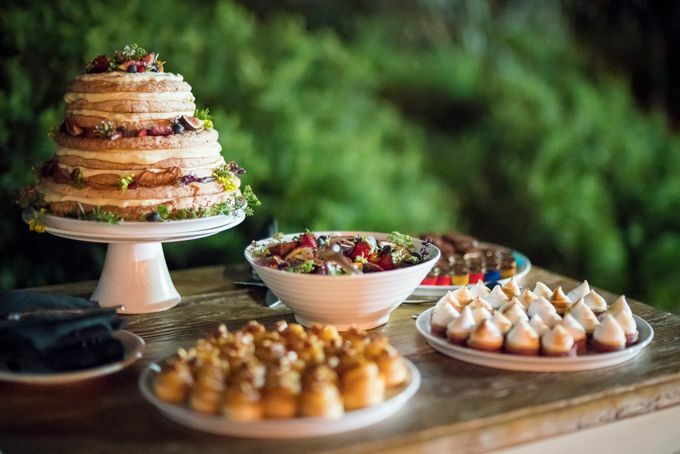 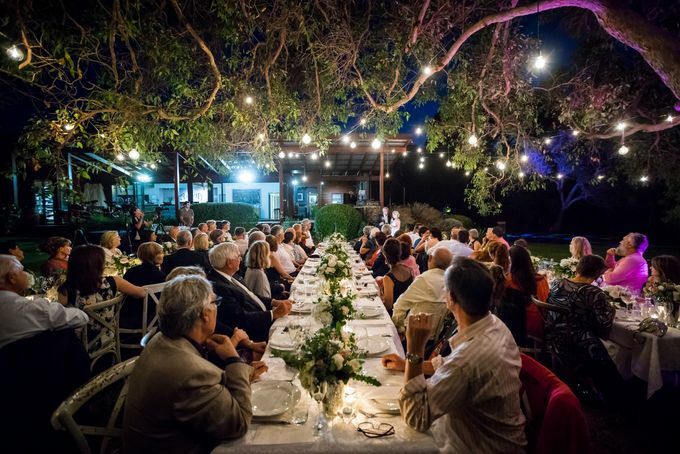 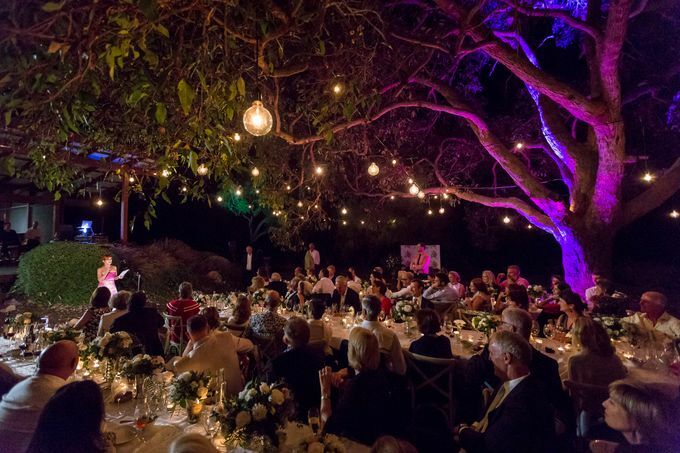 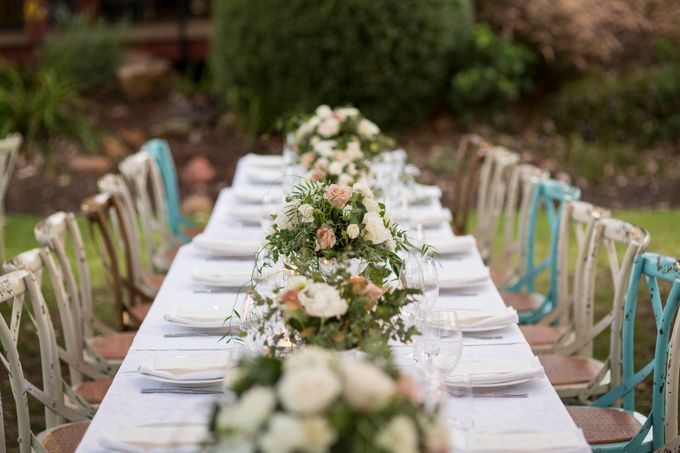 They dined under the stars on long banquet tables styled by Chic Rustique. 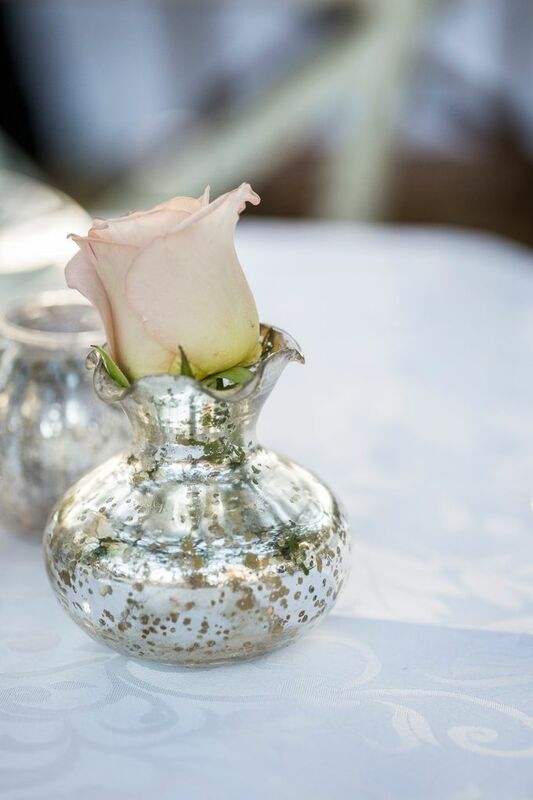 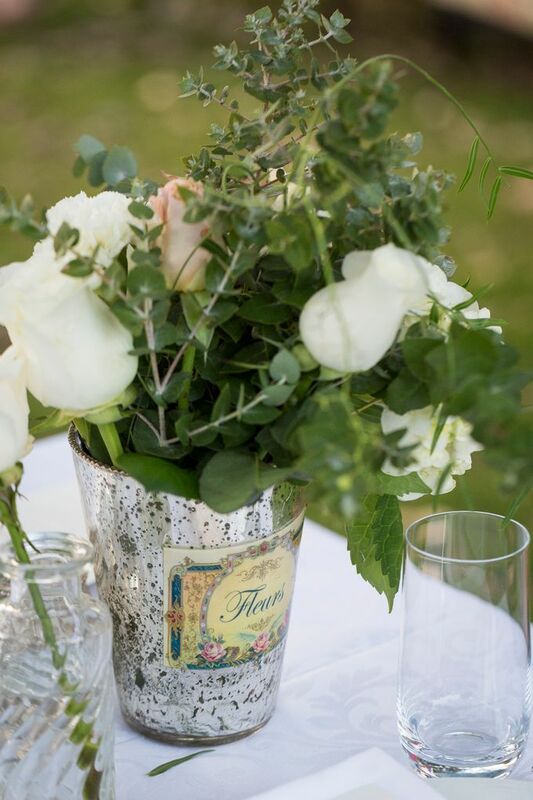 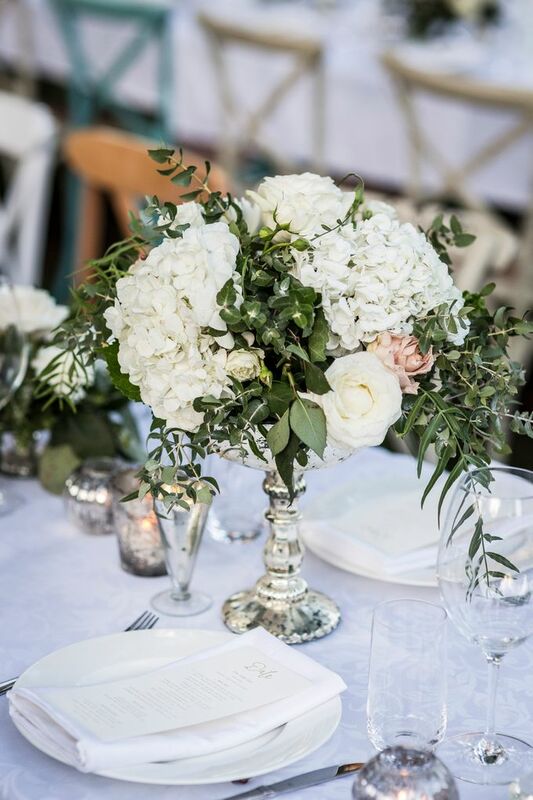 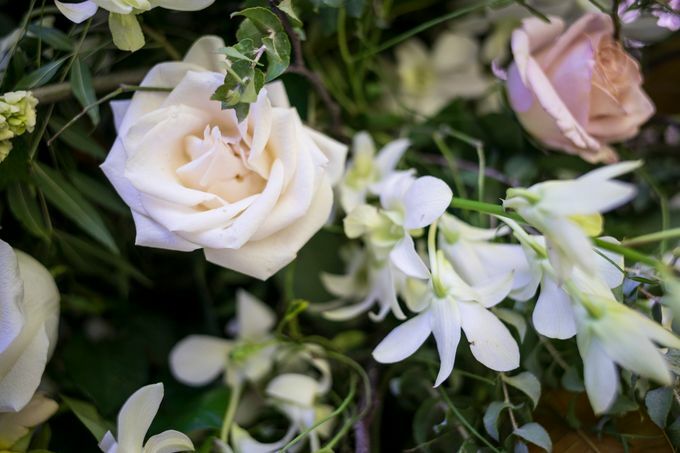 Barbara chose tones of ivory, latte and green as her colour scheme and selected natural flowing florals in silver mercury vases. 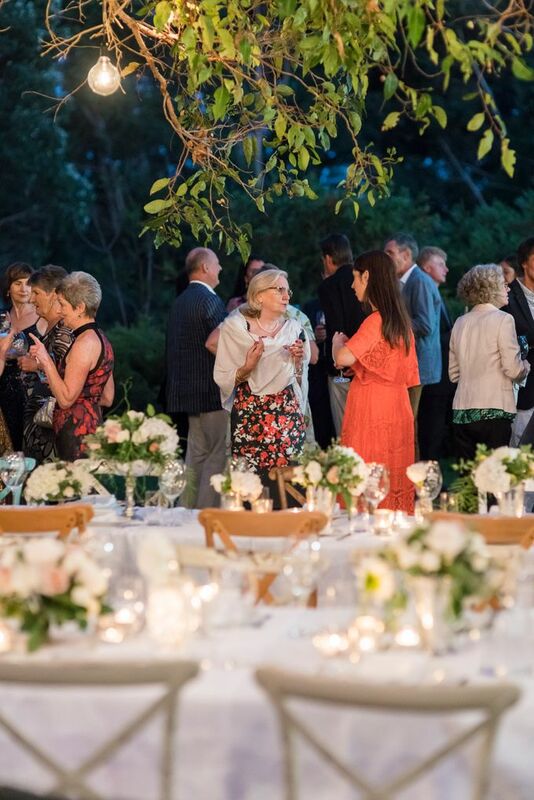 It was a perfect evening and Barbara and John were delighted with the flowers and styling we provided.